The World Cup of Hockey is just around the corner, and Team USA Head Coach John Tortorella isn't about to let any of his players use the game to make a political statement. Speaking to ESPN on Tuesday, Tortorella said that any player who sat during the national anthem would be benched for the remainder of the game. Nobody on Team USA has threatened to do anything except stand at attention during the national anthem, but Tortella's feelings have been made clear. Tortorella, the fiery former Rangers coach who is leading the U.S. squad during the two-week tournament in Toronto, told ESPN on Tuesday that players who take a seat during the national anthem can forget about representing their country on the ice. 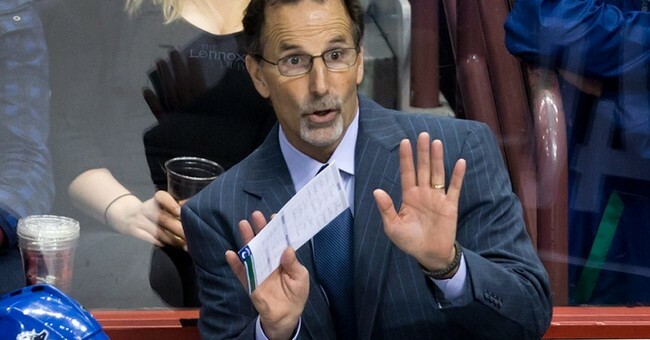 “If any of my players sit on the bench for the national anthem, they will sit there the rest of the game,” Tortorella said. The Blue Jackets coach’s statement follows what has become a growing trend among American athletes kickstarted by Kaepernick, the 49ers quarterback whose refusal to rise during the anthem at a preseason game last month has ignited a firestorm of both criticism and support. The World Cup of Hockey will be held from September 17 until October 1, in Toronto.